For some reason i cant connect to elysium. I've checked the ip address, re logged the game, re logged my laptop yet it still wont work, and its not my connection because i can join any other server on my list.. Hair: neatly cut short, curly, silky and the colour is pure white. Eyes: One eye is a beautiful shade of light baby blue, the other a faded grey with a scar across it. Skin: Smooth and an warm ivory colour. Figure: She has an average waist line and a Hourglass shape, she seems alot slimmer than she once was. Despite her age, she still keeps a youthful beauty to her, more or less looking as if she were around her late twenties within this time. There's more than meets the eye in the case of Evilyn, but if there's anything you should know it's that she's loving and compassionate. Of course she's also family-oriented, loving and flirty. But of course nobody's perfect and Evilyn has a range of flaws to deal with too. Her sarcasm and Hot-headedness aren't exactly fun to deal with, both personally and for others. Drinking whisky, Reading, Writing, fishing, Painting, Friends and Family. Arguments, public displays of violence, anyone hurting her friends/family and thugs. Lives: A small village that she owns by the name of Tortuga, also home to her Orphanage. Nobody, not even evilyn herself, knows how the first few months of her life was like, at the age of 4 months she was found drifting along the icy lakes of himmel in a woven basket by her adoptive parents Zaminex Darkmor , a travelling merchant mage, and his werewolf wife Jiras. Whilst they were travelling along the river on there boat along with there 5 year old Son Sam Darkmor and 3 year old Daughter Lillian. She was lovingly raised along side them for two years, before tragedy struck whilst Evilyn and her two adoptive siblings were being cared for by a nurse who had been hired by there mother, both their parents died in a freak boating accident. During a hideous sea storm their ship ended up crashing against the sharp rocky mountains of himmel, leaving nothing but a pile of dead bodies and debris, leaving Evilyn and her siblings Orphaned. With no adults in order to pay for there rented tavern room and to hire a nurse the three children were left chucked onto the streets with no one to care for them. It was up to evilyns adoptive brother Sam to care for them. And so there life for the next 15 years consisted of working in shops, blacksmiths and occasionally stealing until they could start up there own village "O'khasis", building there houses from scratch in the middle of a beautiful plains biome near a fresh river where they caught and sold fish to upkeep the small village. A few months after O'khasis's making Evilyn meet a young wood elf man named Jason Ro'meave, and the two fell inlove, a relationship shunned upon by her brother and sister. A year into their relationship Jason was charged with treason to there home nation Glaewin and was executed via a guillotine, only a few months after the tragic death of her Sister Lillian, who was brutally beaten and stabbed to death by a gang of unknown thugs, Leaving Evilyn stricken with Anger, grief and having to raise her and Jason's unborn son who was soon to be named Garroth, on her own. Skip forward 18 years and Evilyn spent most of that time, managing the falling apart O'khasis and her Son Garroth, keeping him and her brother from bickering mainly. Even though Sam and Evilyn tried their best to keep O'khasis together it sadly fell into ruins, meaning Evilyn had to move to the nations capital Ivaris, along with Garroth and Sam moving to the Naval village of Yokosuka, as he had joined the Glaewin Navy. Two years after moving into ivaris many things happened, including Her brother, Sam, becoming the leader of the nations Navy. Soon Evilyn came across a Tenshi named Kappo and the two feel inlove, and are waiting for the birth of there Daughter. Evilyn is now also managing the to be orphanage village of meteli. After Evilyn gave birth to her unexpected twins Tyrone and Nereza, Evilyn Decided to disband her dream village Meteli and moved to the beautiful town of Avalion in order to build a nice, stable home for her and kappos twins to grow in. Changed her surname to blain. A few months after the birth of the twins Kappo and Evilyn split, leaving Evilyn to raise Tyrone and Nereza herself - the breakup also lead to an argument between kappo and Evilyns eldest Son Garroth resulting in his death. After fifteen years Evilyn Started up her new village Avalor based in the sandy deserts of Elysium letting Nereza and Tyrone find their own paths in life - seeing them mainly on weekends when come home to Avalor from travelling. After the sudden death of her youngest son Tyrone, Evilyn moved the village of Avalor to a desert island and renamed the village Selanora. Whist travelling throughout the snowy plains of elysium she came across a young man named Edwin, they feel inlove and Evilyn became pregnant with there child who was soon to be born and named Leoshaunt. After feeling that her village would fail to gain popularity evilyn has reserved a house in a village that will soon be opening. After a few years Evilyn decided to finally act on her life long dream of running her own orphanage travelling the vast lands of fei and finally found the perfect place to start building it alongside carrying and birthing the youngest of her children Jules and Jasmine Blain (there father unknown to anyone beside Evilyn) raising them alongside there brother Leoshaunt. After a year the orphanage was finally complete and named PerlShaw Orphanage, soon after its opening Evilyn gave birth to her youngest Storm Blain. During a single month her lover kappo was tortured and killed, a few weeks later her friends Riven & Narla both ended there lives due to some conflicted between them - leaving Evilyn in some emotional distress due to the loses. Her Son Garroth also was revived from his death. Several months after these incidences Garroth managed to bring back Narla and Riven. Also during these months Evilyn met a Illusionist named Nero Orvus and over time the two soon fell in love, bringing Evilyns seemingly distressed life to an ease. A month into the relationship Nero proposed to Evilyn and the pair had at modest wedding in the area where Evilyns village is to be built. During the times on the days counting up to the wedding Evilyns youngest storm was kidnapped and later rescued by Nero. Evilyn also had an argument with her son Leoshaunt, causing the two to no longer speak. A month after the wedding Evilyn and Nero find out that Evilyn is to expect a child. several months later Nero is killed during a fight leaving evilyn devastated and considering whether she should keep the child she is carrying. 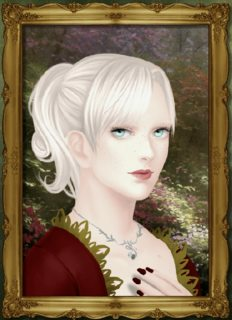 During the birth Evilyn gives birth to another set of twins - a shock since she had no signs of having more than one child and named the two new baby girls Aladora - A name suggested by Nero - And Gaiaphage. After the birth a man Evilyn knows asks to cradle the one of the baby's, when she allows him he disappears with the child and soon evilyn finds that the man is Nero who knew about Evilyns coincidences of giving up the children and was angered and the pair fought ending there marriage and Nero stating that evilyn was to only raise the children until they were weaned. Several months later evilyn meets a man named Levi Morrison and after a while the two fall for each other forming a relationship - Evilyn soon discovers that Levi was tutoring her grandson Jason Ro'meave - Named after Garroths father, to kill his own father in which he succeeds to do - angering Evilyn and Jason's sister Prim. Being Garroths friend Levi regrets helping Jason but was to late to stop the events from unfolding. Several years after these instances Evilyn continued to raise her daughter Gaiaphage, taking up several jobs to fund tutoring for her daughter. One day Evilyn went missing leaving her assistant Darya having to look after Gaiaphage due to her sudden absence and the orphanage that she ran to be shut down and moved to a different location. Evilyn was found and shiz (couldn't be bother to find a decent ending and shiz) - Evilyn now just hangs around turu, as gaiaphage is now grown up and stuff. 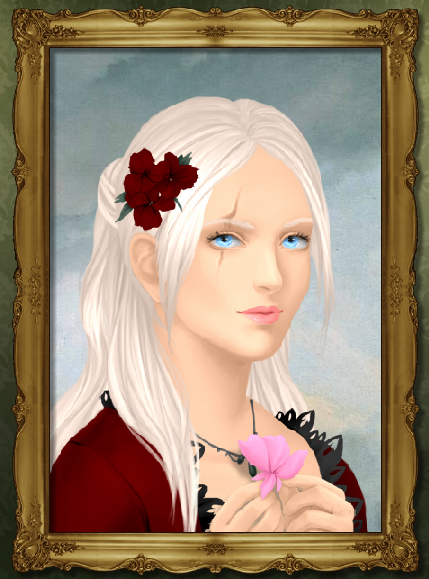 After her youngest daughter gaiaphage moved out of the family home upon reaching her young adult years, Evilyn adopted a young boy by the name of Myrin, who she found wandering around the tavern of turu looking rather upset. The two bonded happily together and spent time together at home, within the orphanage or at turu. Whilst in Turu Evilyn met a Summoner by the name of Eljin Fourrun and the two soon became friends. After a drunken one night stand the pair decided to start a relationship. much to the delight of myrin, and soon discovered that Evilyn was pregnant. After several months Evilyn gave birth to her ninth child - a healthy baby girl who was to be named Elizabeth Fourrun. (Samuel darkmor is dead forgot to add that in there). Soon after Elizabeth's birth, Evilyn and Eljin got married with a small private ceremony. 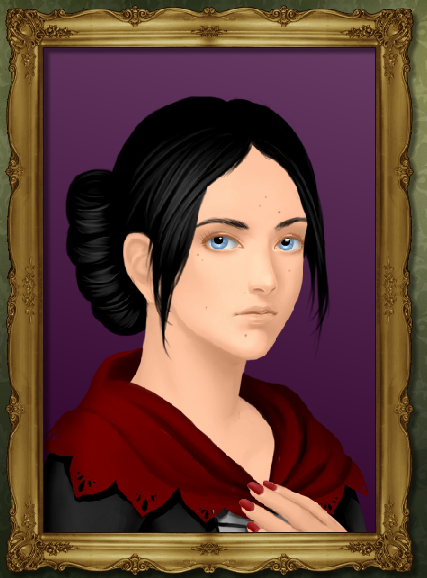 A year after this Evilyn had a skilled builder create the family a nice little house on some private land for her to raise Elizabeth and her other adoptive children. 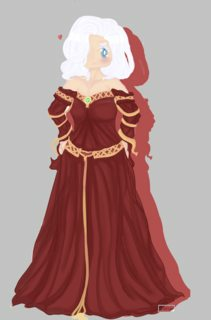 Evilyn also has joined the Seven heavenly virtues along side her husband. Whilst in turu Evilyn discovered that a man called Tyrell could be her long lost cousin, giving her hopes of finding her real family. She is currently working on kick starting her modeste business to help support the orphanage held back within her old home village. Evilyns orphanage is rather busy with children running about and of course, there adoption papers needing to be sorted through. 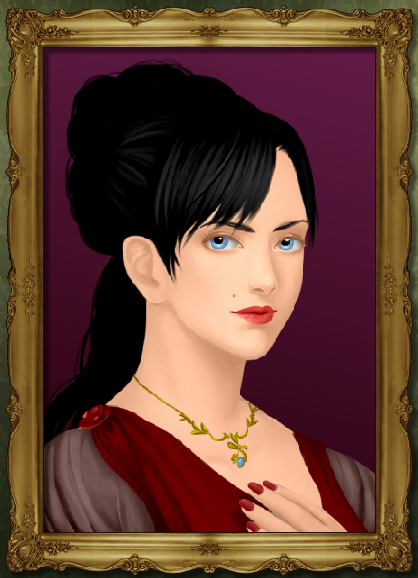 Evilyn finally taking a well-deserved break from child-baring after baring her finally son Eldrick Forrun and managed to loose the pregnancy fat she seemed to almost bared, giving her time to focus on improving her village, working on the orphanage and spending time with her existing family members, taking a break away from responsibilities with her Husband Eljin on a several week long vacation. Jasmine Darkmor - Father Kappo (Twin of Jules) - ?? Hello Ya'll, so i made a nice family tree of the Darkmor family..well cause i was bored and such (if i missed stuff eh - this doesn't include adoptive stuff cause ye) - Also if its a little blurry i'm sorry. Hello all~ Incase you didn't know - my character Evilyn - has rebuilt and reopened her orphanage - Its a nice and cosy building for children who have no living or trusting family around to care for them. This orphanage has been built within her new village of Tortuga. As this is an orphanage of course, we need children to live within it. So this post is for players to sign up in order to resign within the orphanage and be able to roleplay there (And join the village if you really wish too). Having players sign up means that there can be a decent sized group to roleplay within that area, and it means that there can be roleplays where other players could be coming to see if they wish to adopt a child! Hello everyone~ In case some people didn't know, a while ago i made a helpful little post around skins And i just so happened to of redo it on the Servers wiki~ So here you all go! I was wondering if people would be willing for me to make a roleplay guide at all? - Most not be a box house..there ugly..
- Preferably a house suitable for two or three people to live within. So far i only have around 20k to offer, but i can reach to 30k if necessary. If you have a house and wish to offer it to me, please reply on this post or online (my ign Is Rooby01PvP..but i guessed people know that) and we can Arrange for me to view it to see if i like it . Content Corner / Portraits - I got bored. 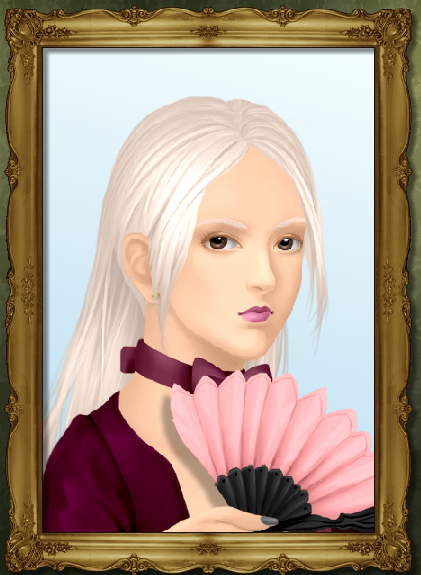 So i was a bit bored - and i found this cute little portrait maker on my favourite uh..dress up game site *cough* Cause i'm a nerd. So i decided to make several of my characters out of it (And characters family etc). Suggestions / A new roleplay area Suggestion? A park: It could be decorated with trees and a pond - a peaceful place for players who maybe want to just read a book and relax etc. A fishing spot: For players to act out fishing. It could have several boats made out on a lake that players can climb onto to act as if they were fishing on water. A run down village: This could be a place where the more sketchy roleplay characters could hang around to sort out 'illegal deals' or just hide away from bounty hunters. I just thought this could be a fun suggestion and they seem more or less easy to make (besides the village one which would probably take more time). Random Discussion / SIMS! Cause i'm bored.. I was curious as to see how many other players like the sims, not matter if its 1 or 4. And also i have some questions sim related that i thought other players might like to answer eg. Does anyone else move other sims babies into the household since they can't seem to care for there own? And also i was curious to here any random sim experiences or best families. Eg. My best family is called 'Willows' and currently there on generation three, the mother is a five star chef and the father works as a lifeguard and they have three children, two cats and a dog - there currently on 22,345 simolions..
Random Discussion / Characters greatest achievement? What was your characters greatest achievement/(s) - you can do more than one character and more than one achievement if you feel that more than one is important. 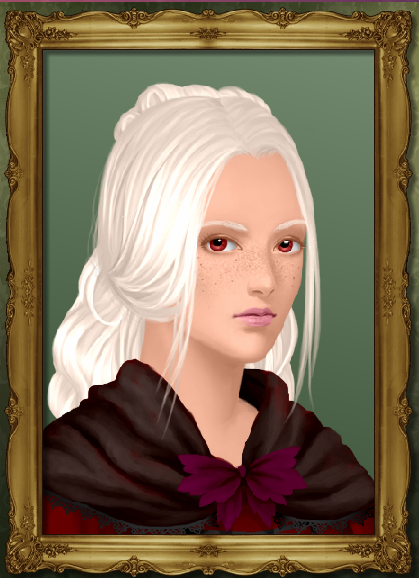 Evilyn Darkmor - For birthing / adopting the most amount of children (She has had 10 birthed children and three adopted), she also runs an orphanage - she basically cares for a tone load of children. I know this may sound like a silly idea but i was thinking of a new kind of staff group kinda like prefects / mini-mods or whatever they could be called. They don't need to have a special coloured race name etc but their role is to simply watch roleplays and feedback to any staff members on players breaking the rules or don't meet a certain requirement in a roleplay area instead of the staff constantly being bombarded with different players complaining about on single player / Players. This could be helpful to staff members because 1) They are able to focus on more important things such as griefs, glitches etc, so if they have a list of certain players it can be easier for them to act on it also 2) They are able to know of things that happen online when staff members are not online at that time. This could be a large or small group of people (I was thinking roughly around 10 players) and kind of like moderators you have to apply for it, or staff could suggest someone to Sammo who meets the requirements. These new staff member could also do on the spot teachings (As i have seen alot of players who try to help players who have poor grammar or roleplay skills but they just approach the players the wrong way and sound rude or to bossy).